Specifically designed to address contact lens discomfort, DAILIES TOTAL1 Water Gradient Silicone Hydrogel (SiHy) contact lenses are the first daily disposables to more than double water content from core to surface. This means your contacts will breathe more giving you longer-lasting comfort throughout the day. If you’re looking for contacts that will fit like a glove without causing dry eye, we’re here to help. Shop for Alcon Dailies Total 1 through Web Eye Care with the confidence of our 100% satisfaction guarantee. Plus, you can save up to 70% and will receive free shipping. What are you waiting for? 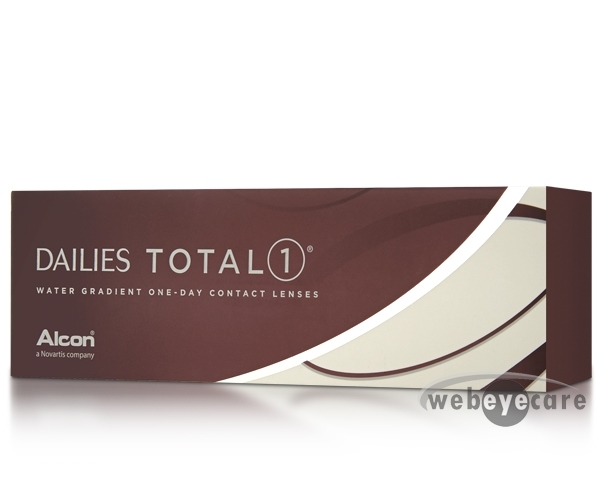 Order your Dailies Total 1 contact lenses today! Dailies are the best contacts. The contacts came fast. I'm very happy. Great value and arrived soon. Always fast delivery when I order!